Filipinos should embrace the teachings of Laudato si' by making "radical and moral choices in their way of thinking, doing, and living to reverse the tide of destruction." "We need to convince people, and even those within the church, to bring the battle of climate change to the global arena," said Father John Leydon, convenor of the Philippine chapter of the Global Catholic Climate Movement. The priest made the call June 18 following the first anniversary of Pope Francis' encyclical on the environment. The Columban missionary said the Philippines is "in the firing line when it comes to climate change." Church groups have been urging the government to shut down 17 coal plants nationwide and revoke permits given to 29 more coal projects. Father Leydon said dirty energy has polluted the air while illegal logging and rapid urbanization has resulted in "unprecedented deforestation." Speaking in Bangkok at a regional conference of Caritas Asia last week, Cardinal Luis Antonio Tagle of Manila said "to pollute or destroy the environment is the result of a lack of respect towards creation, people, and the environment that is God's gift." The social action secretariat of the bishops' conference of the Philippines has made a call to incoming president Rodrigo Duterte to prioritize climate change measures when he assumes office on June 30. "We encourage the incoming administration to make the protection of the environment a benchmark of his leadership," said Father Edwin Gariguez, executive secretary of the National Secretariat for Social Action. The priest urged the incoming Philippine leader to conduct a review of government policies on mining, especially coal. "The government should consider a policy change on fossil fuels and the use of renewable energy," said Father Gariguez. Franciscan Sister Cres Lucero of the country's Association of Major Religious Superiors, urged Catholics to "act on the protection of the water system." "Destructive industries like mining and the wastes from processing industries are threats that poison the water system, which is a main source of our food," said Sister Lucero. 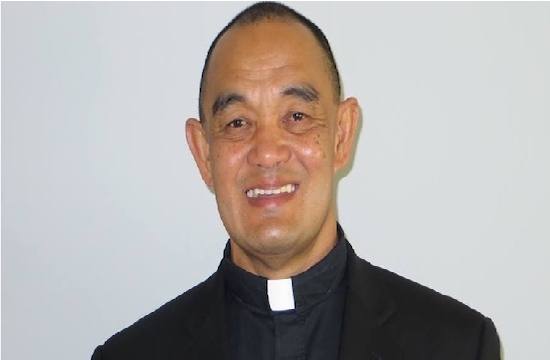 Father Dexter Toledo, national coordinator of the Ecological Justice Interfaith Movement, said the Filipino people's awareness of the message of Laudato si' is "growing higher" but added that Catholics need to understand that "the issue of climate justice is as important as the spiritual one." 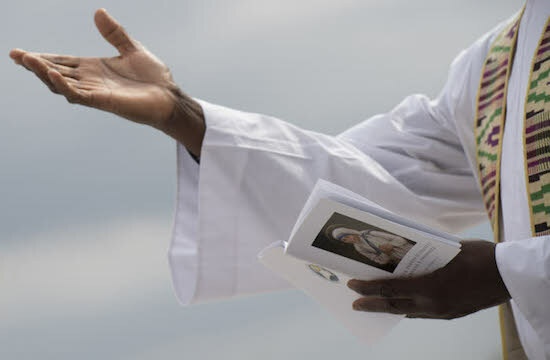 "Laudato si' talks about not only the environment, but how we value our relationship with God by protecting His creations," said the Franciscan priest. He challenged Catholics "to translate our being Catholics into advocacy for the environment." Various groups marked the first anniversary of Laudato si', the papal encyclical on "Care for our Common Home," with conferences, public events, and liturgies, involving parishes, schools and church groups, that culminated in an interfaith symposium on the encyclical's themes on June 18.